Abu Dhabi: The new tech hub launched in Abu Dhabi on Sunday is expected to boost the tech start up ecosystem in the capital. 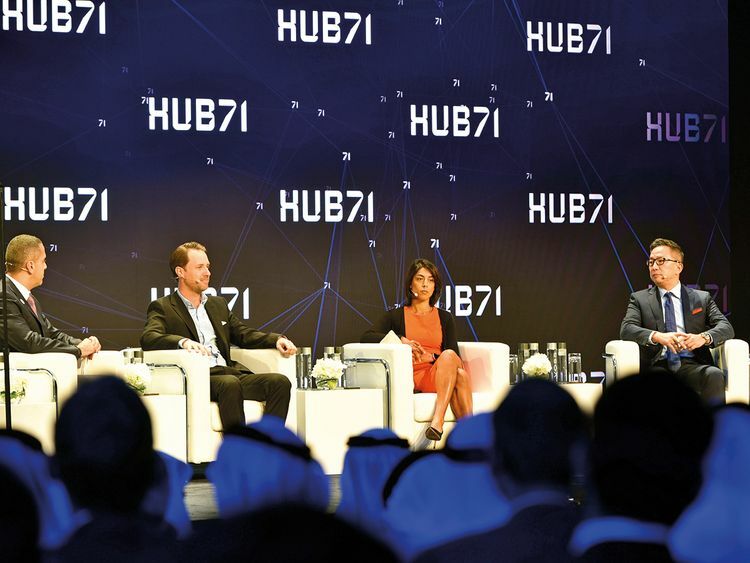 Named Hub 71, and with an investment of over Dh1 billion, the hub aims to attract more than 100 start-ups in the next three years in different sectors including transportation and autonomous driving, life sciences, cyber security, financial services, food systems and food supply chain, among others. Many firms from China as well as from the region are expected to come to Abu Dhabi with some start-ups getting to Hub 71 including some SoftBank companies in the next six months alone, top officials said. Mubadala Investment Company, Microsoft and SoftBank Vision Fund are the founding partners of this new initiative and Hub 71 will be based out of Abu Dhabi Global Market Square on Al Maryah Island. Abu Dhabi Global Market will be the regulator who will facilitate the ease of doing business for start-ups and VCs. On the role of SoftBank, he said, the bank sits on over 65 greatest tech companies in the world and Hub 71 is an exciting platform for them to expand their business. Mubadala Investment Company in 2017 made a $15 billion (Dh55 billion) commitment to $100 billion SoftBank Vision Fund, a major technology- and innovation-focused fund launched by Japan based SoftBank Group. As part of Hub 71 (named after UAE’s formation in 1971), Abu Dhabi will be providing 100 per cent subsidies for housing, office space and health insurance for up to five full time employees for two years and 50 per cent subsidies for three years for tech companies with 6 to 25 full time employees. Licensing and visa processes will also be simplified to boost start up eco system in the capital.